Here are several screen shots in applying the final settings to Windows 8 Consumer Preview during your installation. 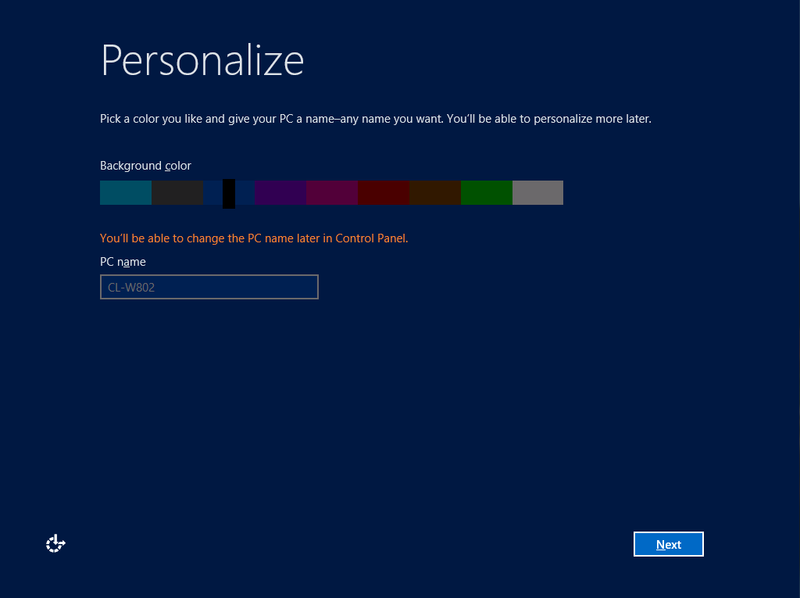 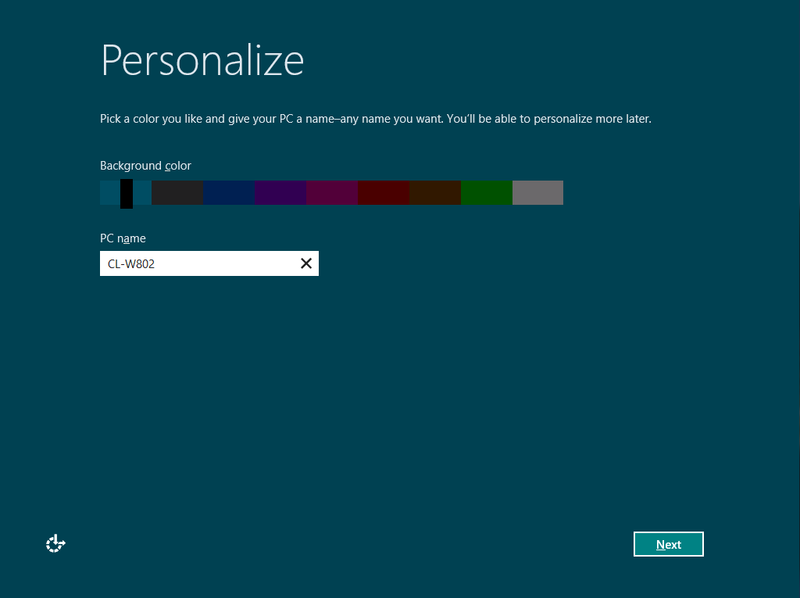 In the Personalize screen you you can select the background color of your choice and then giving your PC a name. 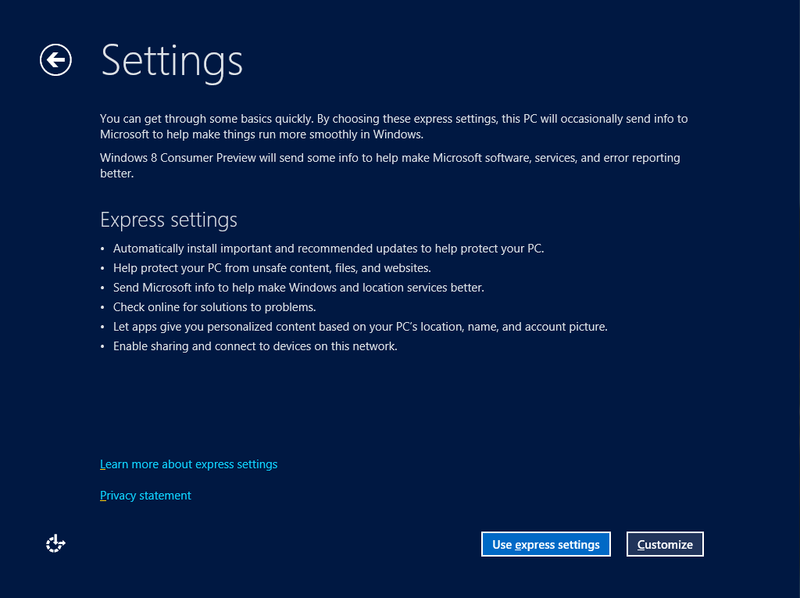 Select either Use express settings or Customize for your settings to continue. 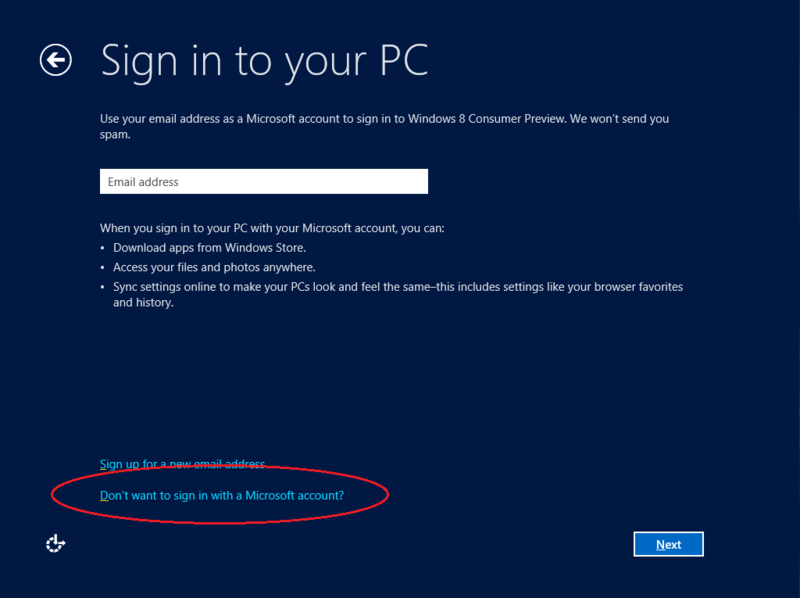 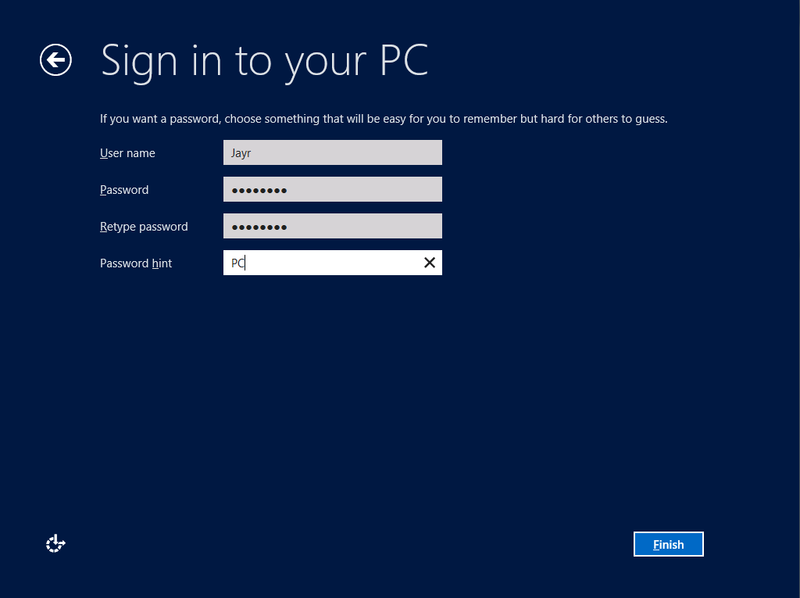 If you choose not to sign in with your Microsoft account select the Don’t want to sign in with a Microsoft account option. 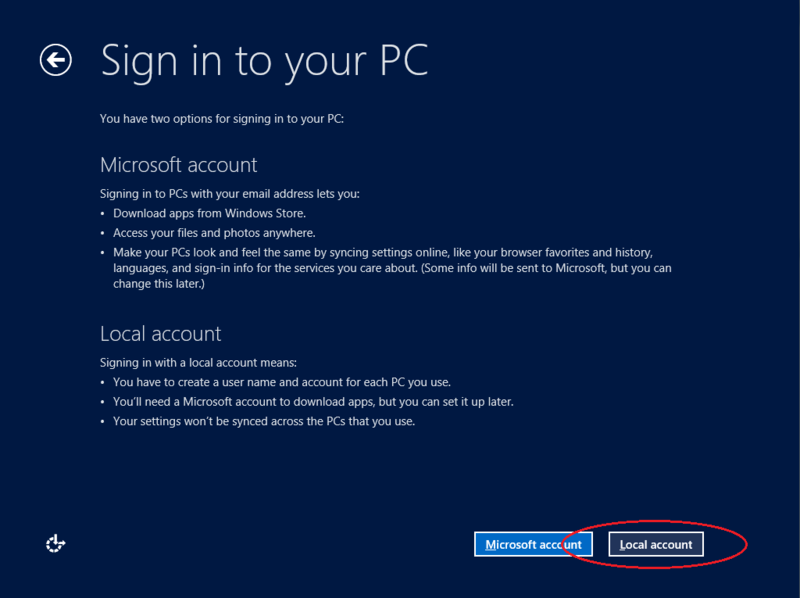 This will not sync up with your online accounts such as live mail and downloading apps from Microsoft store will require you to setup or sign in with a Microsoft account. 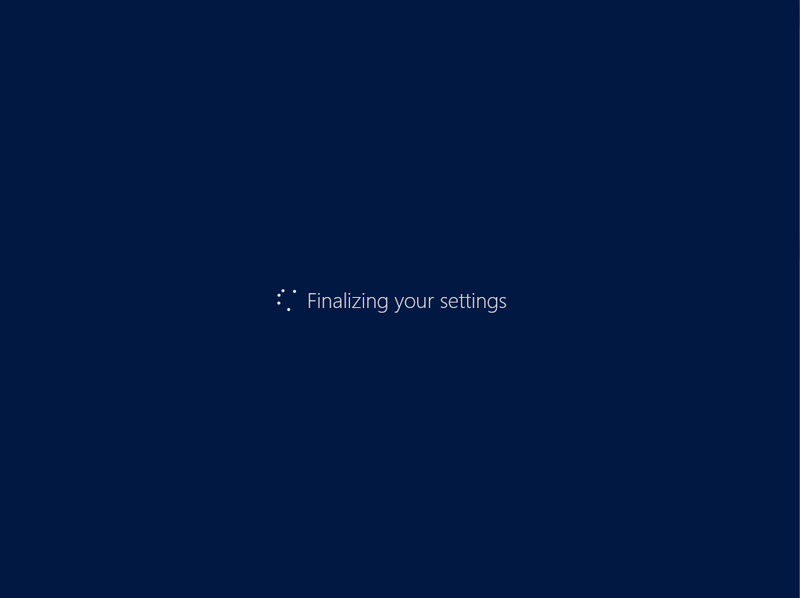 Click the Finish button when done and Windows will finalize you settings. 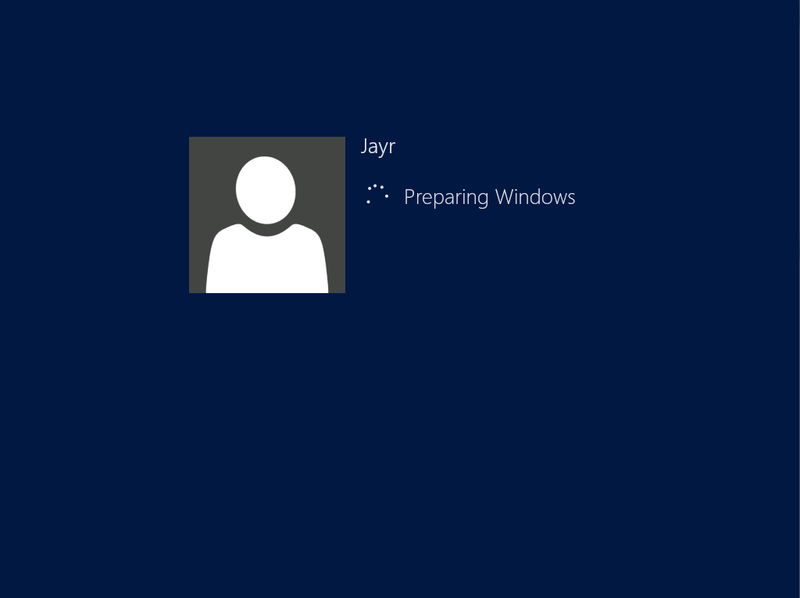 Your account will appear shortly and will redirect you to the Start screen. 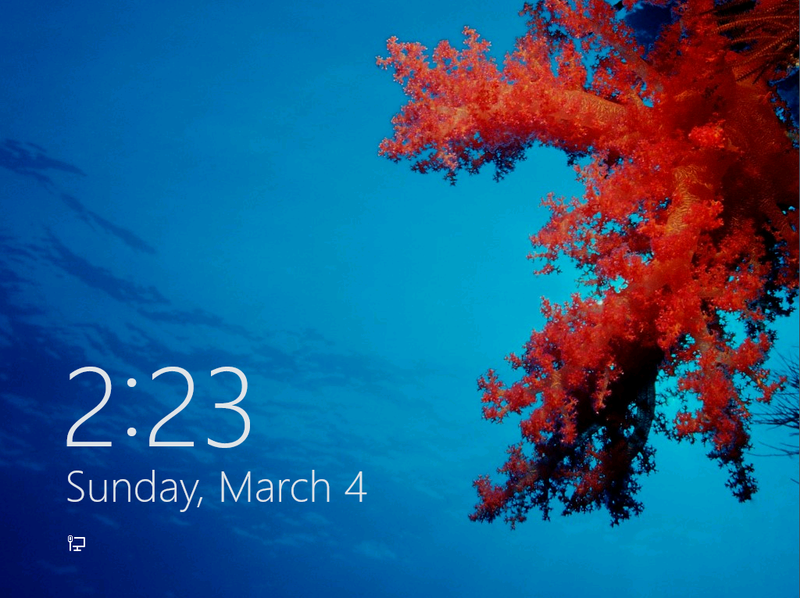 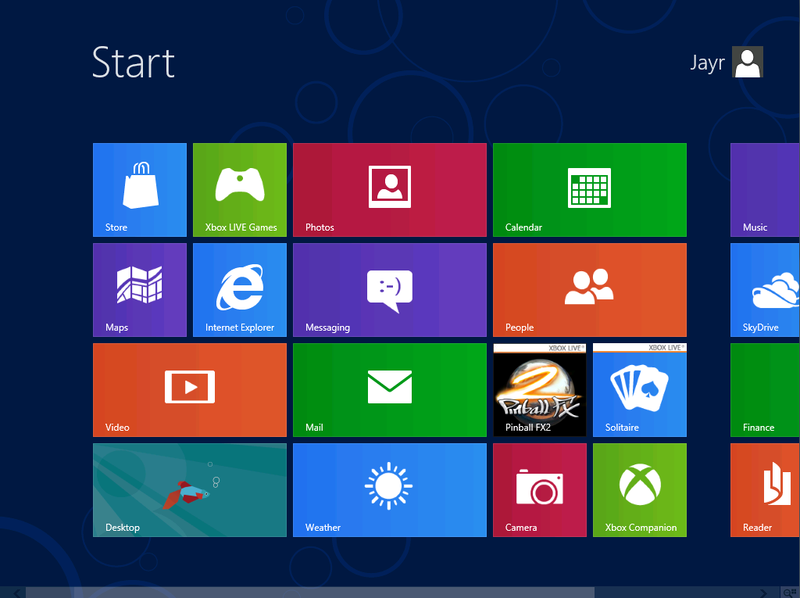 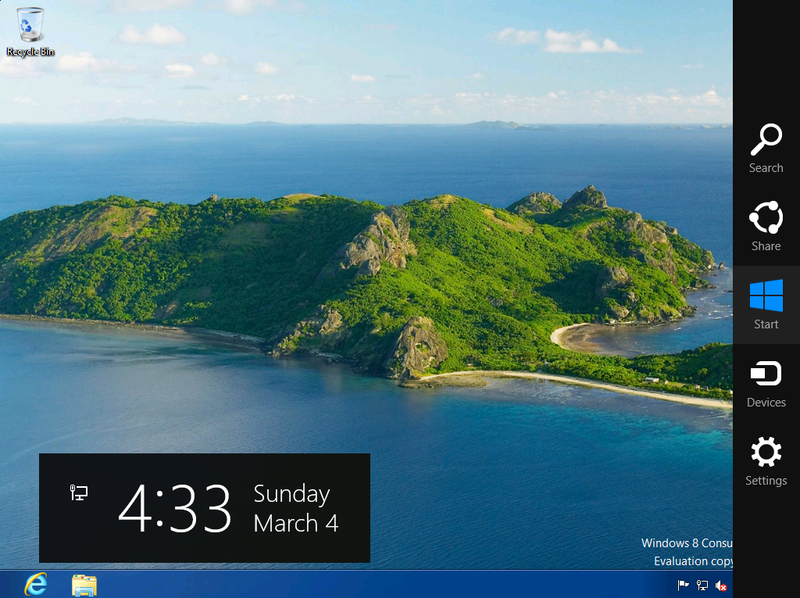 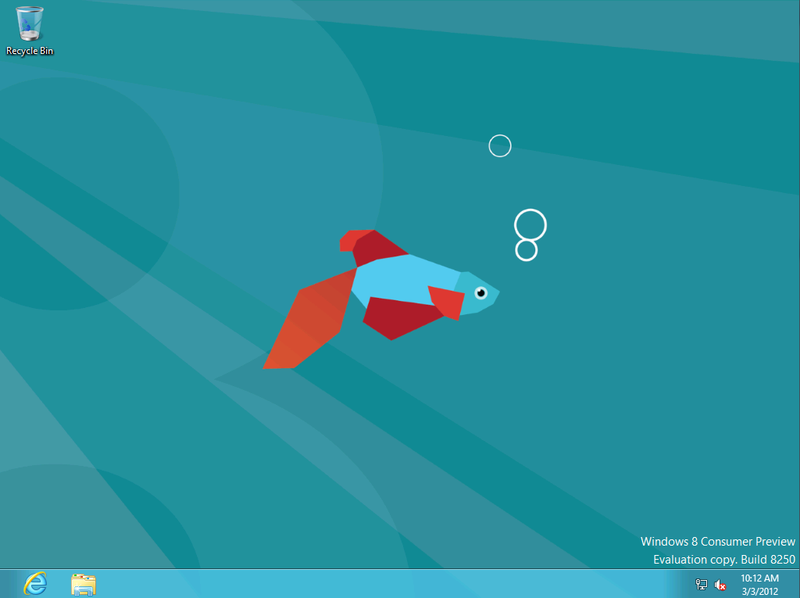 In the Start screen you can access Windows built-in apps and of course, your desktop. 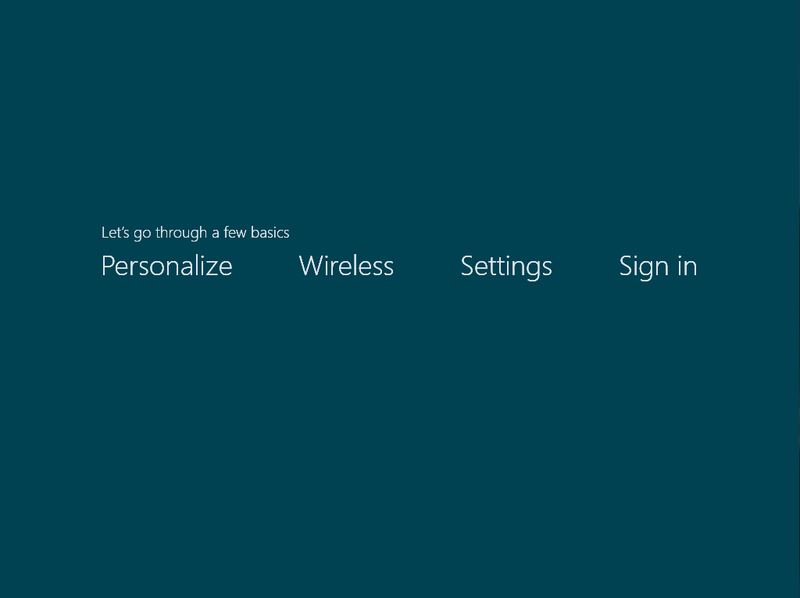 Hover your mouse to the upper right corner of your desktop to access Search, Start, Devices and Settings.